ARSAT-1 is a geostationary communications satellite. Was launched into orbit on October 16, 2014 from French Guiana. 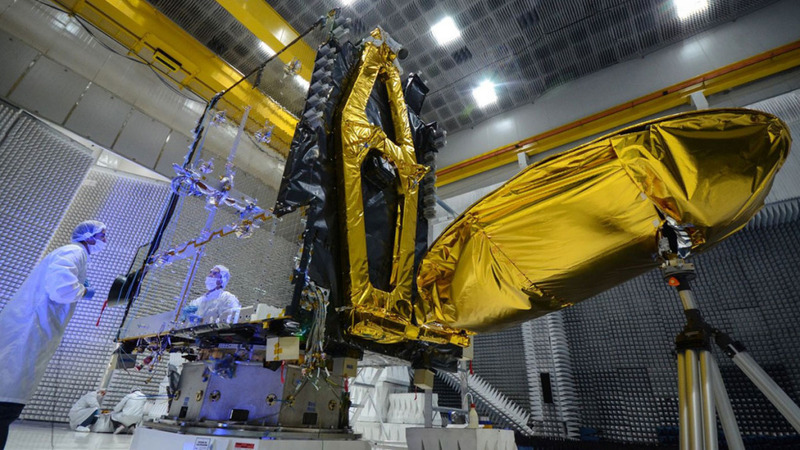 ARSAT-1 is the first geostationary satellite built in Latin America. Weighs three tons and was designed to have a useful life in orbit of 15 years. It will offer a wide range of telecommunications, data transmission, telephone and television services mainly across South America including direct broadcast TV in the ISDB-S standard. Our mechanical engineering team worked on the structural analysis and verification according to EASA and NASA regulations. CAD Design of critical components (Panels, Phyrovalves, Nozzles, Propellant Tanks). Structural Analysis of Tubing Systems. FEM Validation and Verification of model according to test measurements. VDS has colaborated in other projects and continues to assist our client in other important satellite and radar projects such as CUBESAT; SAOCOM; ARSAT-2 and ARSAT-3 Satellites and RMA (Meteorological Radar), MET-V Surveillance Radar and MTPS Radar for Military and Commercial Operations.